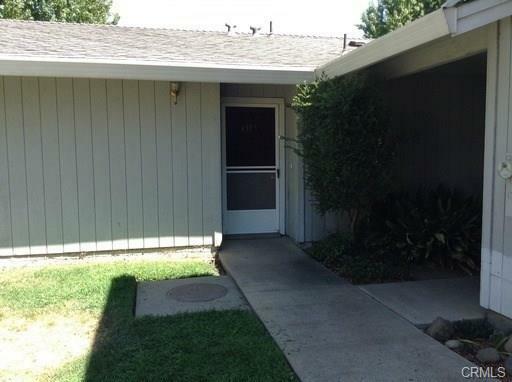 This condo is perfect and such an affordable investment! Purchase it for your own enjoyment or buy it as an investment. Perhaps your child attending CSU Chico! Always in demand as a rental! Brand new bathroom and kitchen and lots of upgrades throughout as of only one year ago! The galley kitchen (with new cabinets, sink, flooring, refrigerator and newer stove) opens up to the dining area and the large living room. The living room has a sliding glass door that leads you to your private outdoor patio. The bedrooms are set on the opposite side of the unit so peace and quiet can be found at any time of day. This light and airy unit comes with a washer and dryer and outdoor storage shed and quaint fenced backyard to boot! Currently leased through 6/26/17 at $975/month. Get it before someone else does!